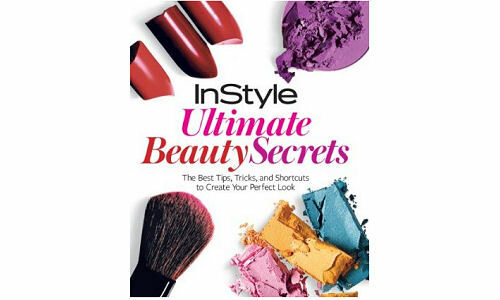 InStyle: Ultimate Beauty Secrets has more than 200 tips from InStyle editors, top makeup artists and Hollywood’s biggest celebrities. This guide features chapters on Skin, Foundation & Concealer, Cheeks, Eyes, Lips, Nails and more—with insight for every skin type and tone. Get inspired by the looks of your favorite Hollywood stars including Scarlett Johansson, Halle Berry, Gwyneth Paltrow, Eva Mendes and Lucy Liu—as they share their most effective beauty tips. Look your absolute best at a holiday party, wedding, or dinner date with surprising makeup ideas that will keep you looking gorgeous all night long. Learn how your makeup and beauty needs change month to month, and how to tweak your regimen to look fabulous every season. Pick up innovative tricks for your favorite products, such as how to use an eyeliner brush to precisely apply concealer, why sometimes lipstick used as blush is best and the best way to transform any dark powder shadow into a safe and mess-free liquid liner.